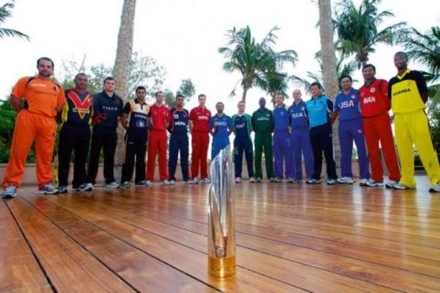 World T20 - A gulf within the Gulf. Having followed the world T20 qualifying stages in the UAE on the internet, live streams and just about every other form of media, serval things have become clear about the state of associate and affiliate cricket. Just as there is a huge disparity between the resources and abilities of the top test playing nations and those languishing in the lower reaches of the world game (namely Zimbabwe and Bangladesh); there appears also to be a gulf between the top associates sides and those with a less fruitful cricketing history. Just as New Zealand have crushed Zimbabwe in their recent test series, the obvious class difference between the associate haves and have nots is just as striking. The likes of Oman, USA and Bermuda have been nothing more than an opportunity for the big boys to improve their net run rates. The six high performance teams who have ODI status have proved their worth with only Namibia proving that money isn't everything. The experience that the young cricketing nations will have gained from the facilities and skill in the Arab state will have been unlike those at home. The state of the art stadiums and professional outfits of the likes of Ireland and Afghanistan will have been a lesson that the amateurs (of which ten of the sixteen teams in the tournament were) will take on board and aspire to. But just as New Zealand may ask what is the point of winning a test in two and half days? Afghanistan may be asking what good is chasing down a total in ten overs? Do those at the top of the associate and affiliate tree deserve more than they are currently getting? The key appears to be exposure. Exposure to the the high profile fixtures, professional training and media coverage, that the ICC appears to have set aside for the test playing elites. Afghanistan and Ireland are the two nations that are, rightly, knocking on the doors of the administrators asking for more. In the T20 qualifiers, Afghanistan reached the tournament final unbeaten and have secured their place in Sri Lanka. Ireland with two more games in front of them seem well placed also to reach yet another major ICC event. In the run up to the tournament the boys in blue (Afghanistan for those who don't follow the minnows of world cricket) gave a full strength Pakistan team a game that showed their fearless attitude and an ability to play spin in a way that the English batsmen could not. With aggression. Such a fixture will have given the Afghan players more in terms of development than any number of games against Saudi Arabia or Oman will do. The likes of Hamid Hassan, Mohammed Nabi and Mohammed Shahzad need exposure to top quality cricket in order for them to keep improving. Ireland are much the same. Having their players in the shop window for England to pick and choose on a whim is crippling the chances of a successful Irish team. In applying for test status and setting out a path way in which the Emerald Green could be playing in white by 2020 is an ambitious plan. With no assurances from the ICC Ireland are facing an uphill battle. But they shouldn't be. Six of the eleven players that started in Irelands match against Canada on Thursday are contracted to counties in England. Another two are waiting in the wings and two more have been employed in the recent past. It begs the question of how many of the current Zimbabwe teams, of the Bangladesh team, heck even the West Indies team, would get into county squads in England? The question comes not down to talent, unfortunately, but to money. The ICC, in this current financial climate, have no more money to throw about. The test playing nations are not about to give up any of theirs and that leaves the likes of Ireland in a tough situation. By constantly winning at associate level they are banging their heads against a glass ceiling through which England and others seem to be able to grab those that are performing best. Morgan, Joyce and Rakin have so far played at some level for England. How long before they are joined by Dockrell and Stirling? The question then is what can countries such as Ireland, Afghanistan, Namibia and others do about their situation. What is key is that they continue to impress at global events, the next opportunity being in Sri Lanka in September, keep having associate and affiliate players performing in county games and most importantly performing. Namibia playing in South Africa ensures that their players get quality cricket on a regular basis. Only by beating the top sides and continuing in having a professional outlook on the game will the ICC take notice and have little choice but to create a stepping stone between being a big fish in a small pond to a small fish in the vast ocean of full membership.